His insights were echoed by Joe Public managing director, Khuthala Gala-Holten. In her talk, she explored the reluctance of particularly the black middle class to visit the Cape Winelands and showed why she thinks that is. “The recent drought in Cape Town with the explosion of negative press marks the decisive moment when as a province, we embraced the opportunity to change our relationship with water forever by collaborating as a province and one of the world’s most sought-after tourist destination, with a single message,” Harris said. “We fought successfully to keep the province open for business, especially for tourists, given that they support 300 000 jobs in the Western Cape tourism sector, while they use very little of the available water resources. Together with the City of Cape Town, the Western Cape Province and private sector, we raised R13 million for our campaign. Mabaso delighted with stories of his upbringing, education and travels; emphasising the importance for South Africans to create their own style in terms of food. “The only way to compete on tourism level is to offer something totally new, authentic to here. International foodies want to experience unique South African food experiences. “Creativity is not only about ingredients, but also concepts. It’s not necessarily tangible, but should always send a message,” he said. Dr Donovan Kirkwood, an ecologist and biodiversity conservation specialist; and chef and foraging specialist Kobus van der Merwe, who with his intensely local and seasonal focus has developed a cuisine and restaurant experience that completely embodies and evokes the wild and dry West Coast; described the unique but fragile biodiversity of the Western Cape and how it’s to be utilised. Despite risks, they believe that there’s massive opportunity for the food industry if exercised in a controlled, sustainable manner. This set the stage for a discussion by Dr Serge Raemaekers, a specialist in marine biology who has developed a unique value chain and digital app, Abalobi, that facilitates bringing freshly caught fish to Cape Town’s top restaurants. It offers traceability, highlighting the source and every step and person in the supply chain. He led a discussion on using Abalobi to maximise the lives of fishermen and the lesser-known fish species in our oceans in a sustainable manner. A panel discussion on “innovation that impacts the customer experience” followed, with David Sadie of David & Nadia Wines in the Swartland describing how with the help of others in the region, he’s turning an old, dilapidated urban space in the town of Malmesbury into Bill & Co., a collective to offer visitors a wine shop as centrepiece, a venue for events, a bakery and butchery, coffee shop, bistro and more. Damien Joubert-Winn, sales manager for Waterford Estate in Stellenbosch, maintained that “innovation is all about challenging the norm, adapting and appealing to an ever-changing landscape. 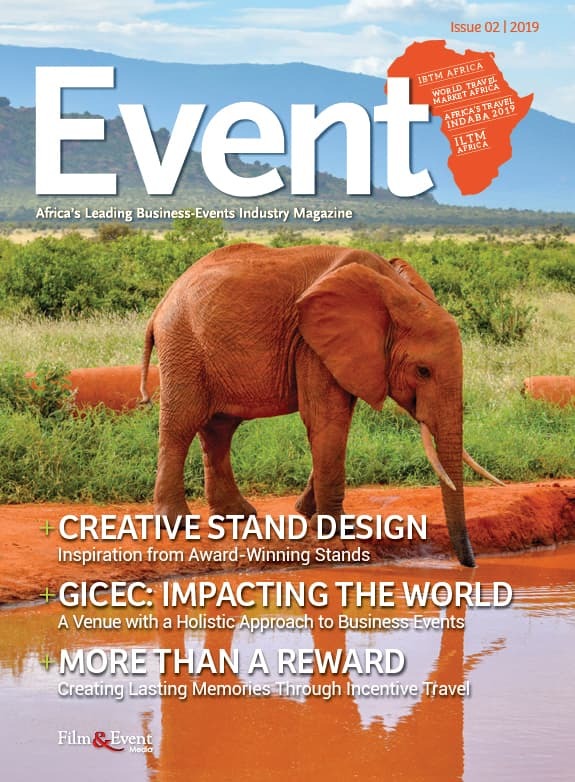 The job of the host is to create memories and to do so, we need to offer what our consumers consider memorable.” He cautioned against innovation that’s not relevant to your brand message. Pearl Oliver-Mbumba, one of Cape Town’s most popular sommeliers, currently working at the One&Only Hotel in the V&A Waterfront, highlighted the “experience economy”, and how she and her fellow wine staff not only serve and sell wine but innovate by creating and exceeding guests’ expectation via unexpected services such as wine farm visits and unusual experiences. Online story-teller Chris Joubert and communications strategist Spicer de Villiers discussed ways in which to social media could be effectively used to bring brands to life, while Jimmy Eichelgruen, Delta Air Lines’ director of sales in Africa, the Middle East and India described how to build customer loyalty by continuously investing in operations. 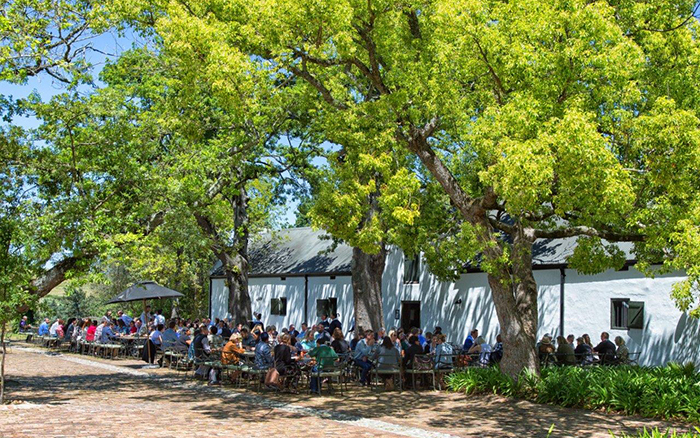 The 2019 edition of The Business of Wine & Food Tourism Conference will take place at Spier on 17 September. The annual get-together is convened by seasoned tourism specialist, Margi Biggs.